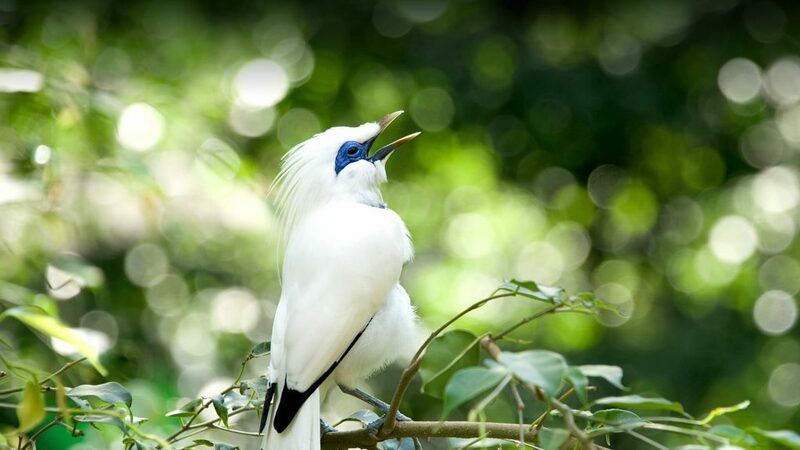 The Bali myna is a beautiful, snow-white bird with black tips on wing and tail feathers and striking sky-blue patches of skin around its eyes. The male and female are almost identical, although the delicate, lacy head crest extending down the back of the neck may be a bit longer on the male. Find out more!